See further details in the FESTIVALS section. Making it’s return for the first time since 2013. After five years of people asking for it, we’ve finally made a gap in the brewing schedule to satisfy those malty taste buds. We’re sorry it took so long! The Earth is spinning on it’s axis, tilting a little further away from the Sun. Time for some cooler weather brew. 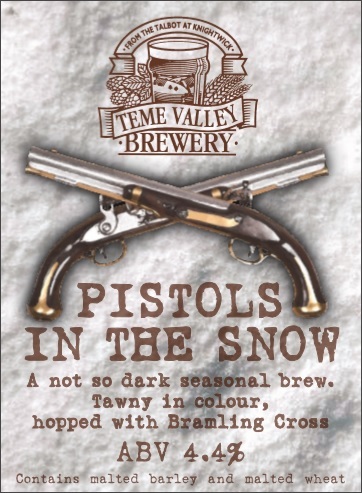 Pistols In The Snow is made with a generous amount of Crystal malt and hopped with extra Bramling Cross hops. The result is a not-so-dark cold weather beer with enough malt to make it warming and enough hops to make it fun! Available from 8 November until stocks last. It appears that I have, yet again, chosen a beer name which could be read as a crude pun. The truth is, the name derives from an incident at The Talbot when it was a coaching inn offering hospitality to travellers. At the time of our story, the coaches had been harried for several months by a callous highwayman who lurked on the treacherous stretch of road crossing Bringsty Common. 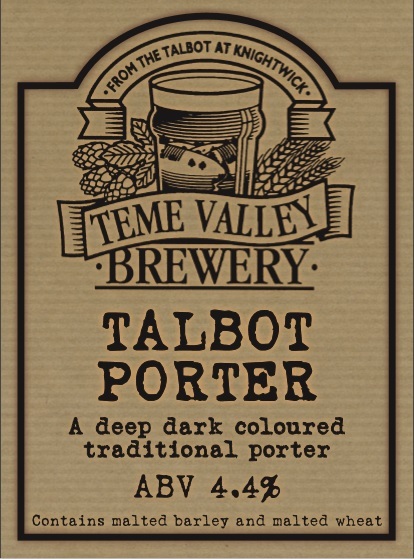 One night a coachload of travellers were settling their nerves with some delicious locally brewed ale at The Talbot before travelling west. An intelligent and highly regarded barmaid observed a young man whose attention to the travellers seemed unusually intense. Plying the chap with beer and extolling the virtues of goodwill to all men (it was that time of year), our heroine glimpsed a brace of weapons beneath his coat. As the passengers embarked the coach, she gave a heart rending speech that tugged the lad’s last heartstring. Full of good beer and Christmas cheer, he walked into the night and cast his pistols upon the fresh snow (the very ones on our pumpclip), striding off for a good night’s sleep. Our plucky barmaid swooped on the weapons and dusted them for prints leading to swift justice. The villain was found guilty of three counts of murder, seven of wounding and hundreds of acts of waylaying all of which carried the death penalty which he served concurrently for about 3 minutes at the end of a rope. The moral of this story is that offering even a brief glimpse of your flintlocks to one of our staff may have severe consequences. Although we like to consider ourselves a ‘traditional’ brewery, if you don’t keep up, you get left behind! Still in testing phase, Cosmos is our first ever attempt at a British style lager. Weighing in a 4.5% and hopped with Worcestershire Archer hops, we like to think we’re on to something. Cosmos is currently available at the Talbot and we hope to have a wider distribution soon. If you would like to register interest in potentially stocking Cosmos, give a call or drop us an email. I am very pleased to announce that the brewery has received SALSA approval for the next 12 months. This is a huge step forward in demonstrating our professionalism to small and large retailers. Festival dates for Flying Pig and Green Hop have been moved forward one week from previous years. 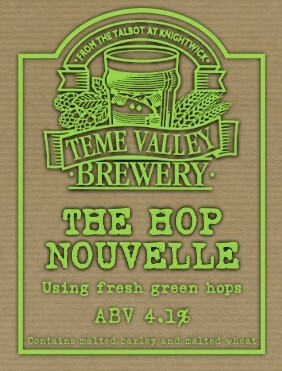 They are now set the weekend prior to Teme Valley Market days. For more information please check the individual festival sections on the Home page. Hope to see you at all three!